Good five gaited competition horse with lovely character. He is also competition horse for T7, T1, pace and A-Class (four-gait). Son of Sólon frá Skáney (8.48) and Hrafnhildur frá Stafholtsveggjum. Hektor frá Stafholtsveggjum is a good five gaited competition horse with lovely character. He is also competition horse for T7, T1, pace and A-Class (four-gait). Hektor has received 8.55 for A-Class (five gait) Finals and 6.46 for Pace Test PP1. 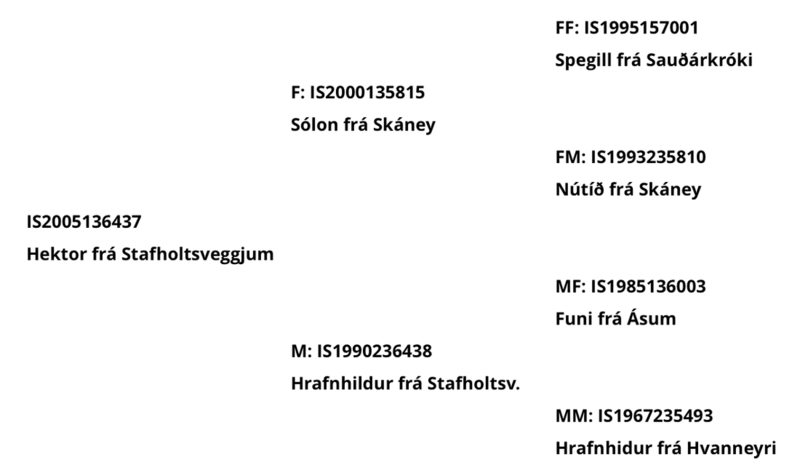 Son of Sólon frá Skáney (8.48) and Hrafnhildur frá Stafholtsveggjum. His father, Sólon frá Skáney (8.48), has 8.64 for Riding Abilities; 9 for tölt, 9 for trot, 8 for pace, 8 for gallop, 9 for spirit, 8.5 for general impression and 7 for walk. 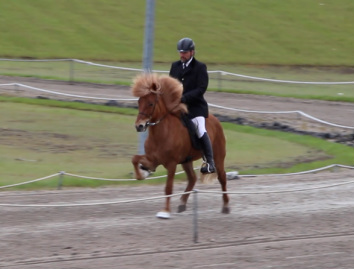 He has also 9 for slow tölt and 7.5 for canter. Hektor is suitable for all riders with some experience.